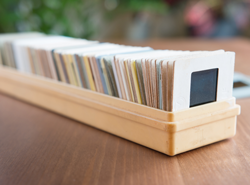 Preserve & digitize your memories with our archiving services! 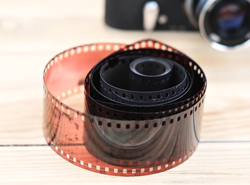 We offer a variety of services to help you archive your photos, negatives, videos and more. All archiving services are produced in-house. Learn more about prices on Prints, Wall Art, Photo Gifts & Cards. Order Prints, Wall Art, Photo Gifts & Cards NOW! Your 35mm negatives and slides scanned at 1200×1800 resolution and burned to DVD. Scan prices do not include DVD or print cost. Additional scan fee applies for single cut negatives. Quantity discounts available. For photos, including medium & large format, plus odd sized negatives & slides, and print/paper scans up to 8.5×11”. Oversized print scanning services available for additional cost. Have your files backed up to DVD from SD/CF cards, scans, film and more. Have your images transfered from one media to another. Additional fee applies if both medias are not provided. This service includes basic photo retouching over non-detailed areas such as: minor dust removal, minor scratch removal, minor glass glare removal, minor face blemish removal and basic image enhancement. Quotes available in-store only. Turnaround time is 1-2 days. Have scratches, spots and more removed from your photos! 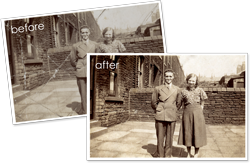 Order for moderate to complete restoration of photographs, including the repair of scratches, spots, stains, color shifts and more! Quotes available in-store only. Restoration service is a minimum charge of $40. Includes a DVD of the restored image and a proof. Turnaround time is 1-2 weeks. Digitize your home movies, videos & photos to DVD! 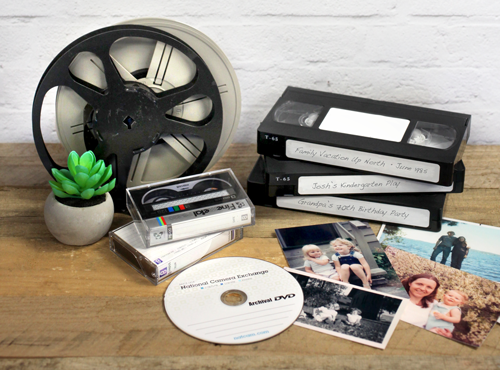 Have your home movies transfered to DVD, create a custom picture slide show, or convert your video into a digital file! 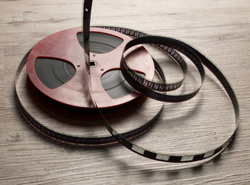 We offer video transfer services from a variety of medias, all produced in-house! 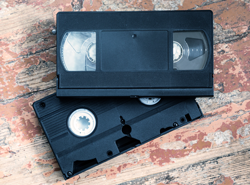 Have your VHS, VHS-C, MiniDV, MiniDVD, Hi-8, Video8, Camcorder, SD Card & Digital Files transfered to DVD. Each DVD holds 2 hours of footage. Turn around time is 3-6 weeks. Rush orders available for additional charge. Convert your data DVD to a playable DVD, or a playable DVD to an editable DVD. Pricing includes a DVD up to 90 minutes of video. For 90+ minutes of video, flash drive storage is recommended. For 10+ hours of video, an external hard drive is necessary.Please see customer service for details. SPECIAL OFFER! Playable DVD and Data Disk Bundle for $39.99 *Excludes movie reel transfers. We can recover lost, deleted, corrupted or formatted photos from memory cards! Recovery fee applies only if files are recovered. Additional charges may apply for data storage on recoveries over 8GB. Customer may supply own device. Our Archival Bulk Scanning Services are an easy & affordable way to scan large quantities of photos!Just bring us your old photos, from wallet up to 8×10, and we’ll scan them onto an archival DVD. Its a perfect way for archiving, printing and viewing your photos online! Photos are scanned at their original size at 300 dpi. Note: Service does not include negatives or slides. Copyrighted photos cannot be scanned. *DVD may not work in players without slide show conversion. Bulk scanning of photos burned onto DVD, wallet sized up to 8×10. Have up to 750 – 4×6” photos scanned for as low as 16¢ each! 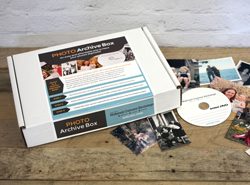 Just purchase our Photo Archive Box in-store, place your photos inside, then drop it off at one of our stores. We’ll scan each of your photos onto an archival DVD at their original size at 300 dpi. Turaround time is 2 weeks.